We have worked with many types of building systems throughout the Toronto, ON area. When it comes to building systems, there’s almost no project that our team at Belanger Engineering isn’t able to accomplish. We have worked with many types of building systems throughout the Toronto, Ontario area and look forward to assisting you with your upcoming project. 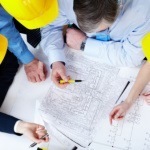 The team of professionals at our firm understands that buildings are comprised of a variety of different structures. If one component fails to function properly, the entire unit is compromised. For example, if a building’s roof is designed poorly, it may be prone to repairs and fail to provide the building with proper protection against the elements. Some of the different building systems that we have worked with in the past include elevators, roofs, electrical systems, and building envelopes. We can also do structural and mechanical work on building projects. With any project that we work on, we take a customizable approach to what needs to be done. This ensures that the building’s specific structural requirements are met, as well as local ordinances and codes. Our main goal is to do what is in the best interests of our client, and only develop solutions that are a good fit for the building with which we are working. Below, you can read more about the types of building systems that we work with and some of the projects that we have worked on in the past. As always, if you have any questions or you would like to begin a project with our firm’s assistance, please contact us at Belanger Engineering. At Belanger Engineering, we offer services for building systems in Toronto, GTA, Mississauga, Markham, and Ajax, Ontario.